Alan Sidney Porter Rickman known popularly as Alan Rickman passed away last week. He was a wonderful actor and probably most of the world remembers him for the iconic role of Snape in the Harry Potter Series movies. However, as I haven't really watched the Harry Potter movies (don't think will do as I love the book the best and would prefer it that way), my connection for Alan Rickman is with Die Hard. 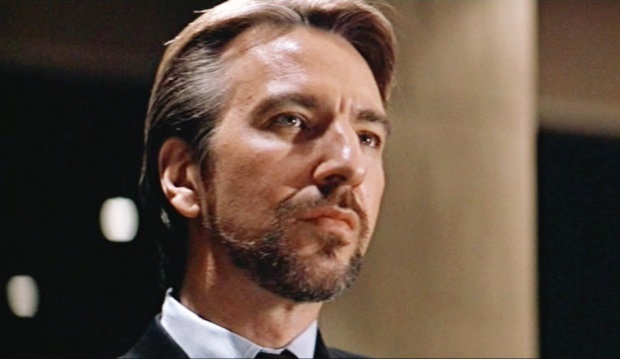 He played that sinister character of Hans Gruber. This article offers a brilliant tribute to the actor and that character of Gruber. As an actor, he played these roles but for us, he stays immortal because of these very roles. And probably that is why we are attached emotionally to a person's death even if we do not know them personally. We mourn the loss of that character (even as they lives on screen). He was also famous for his roles in movies like Truly, Madly, Deeply-Love Actually and so on. It is sad that he is no more. May his soul Rest in Peace.